These gorgeous new Star Wars braided bracelets are now available at Box Lunch. 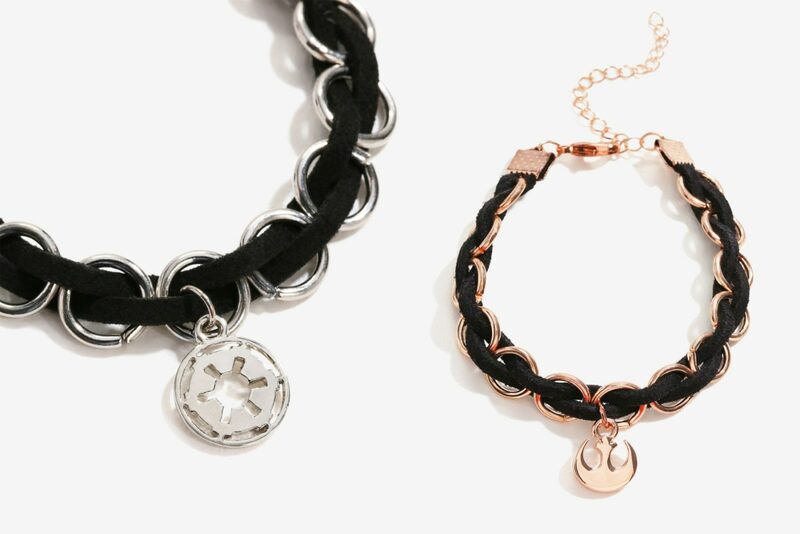 There are 2 designs to choose from – the silver toned bracelet with Imperial symbol charm, or the rose gold toned bracelet with Rebel Alliance charm. Both designs feature black faux suede ribbons woven through the rings of the bracelet. 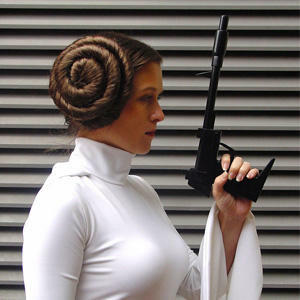 You might be a key member of the Imperial Forces, but you can still rock a dainty bracelet. 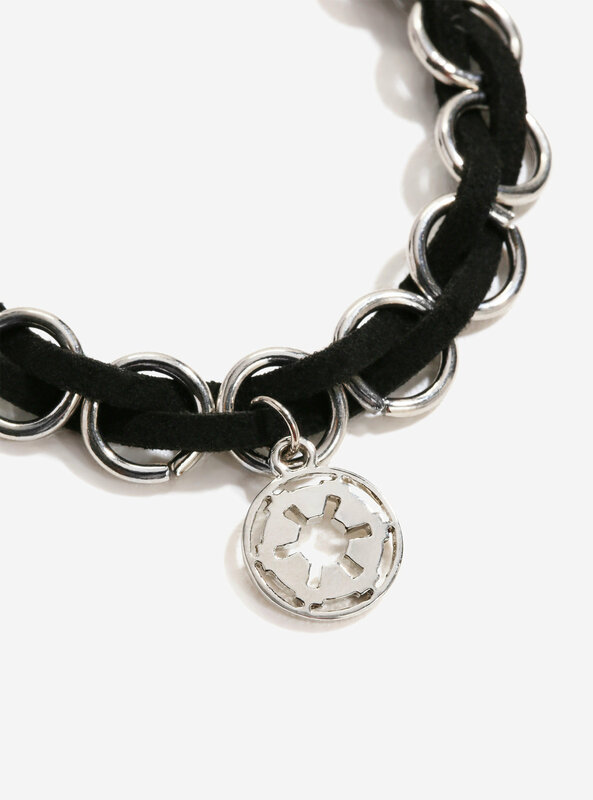 This feminine bracelet features a black and silver braid pattern and has an Imperial emblem charm. 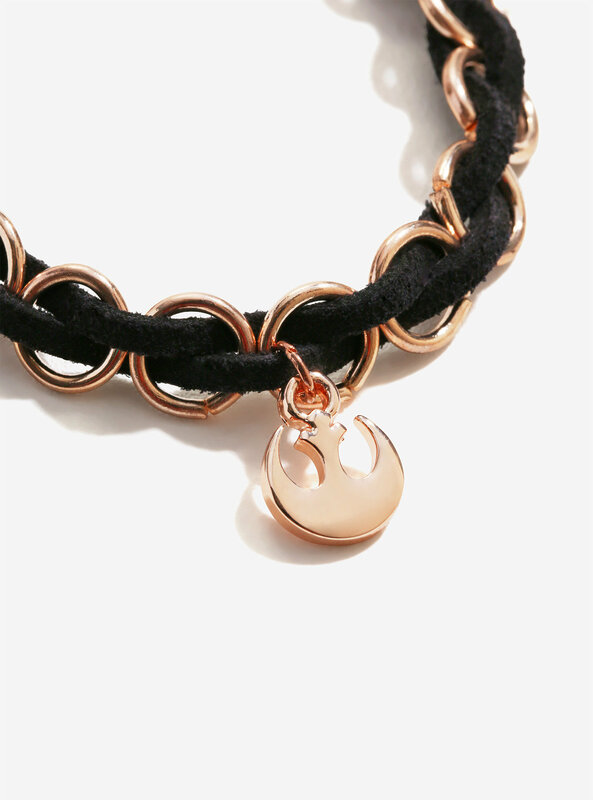 You might be a key member of the Rebellion, but you can still rock a dainty bracelet. 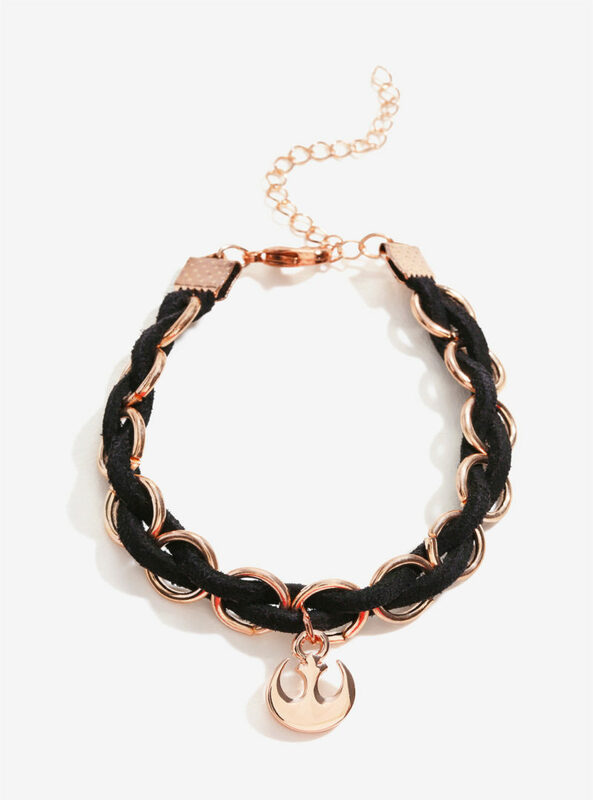 This feminine bracelet features a black and rose gold braid pattern and has an Rebel emblem charm. The bracelets are priced at US$14.90 each – Box Lunch can ship internationally, which is great.